It is time to officially go on record that CAMs (Channel Account Managers) have the absolute toughest job in the indirect channel industry. Tougher than their bosses, tougher than senior channel sales executives, channel operations, and channel marketing managers. They are expected to be sales-oriented, strategic, consultative, analytic, administrative and collaborative with their partners and their internal peers and executives on a daily basis. They are given multiple roles including recruiting, onboarding, development, activating and motivating their partners while at the same time managing a professional measurement and reporting process. 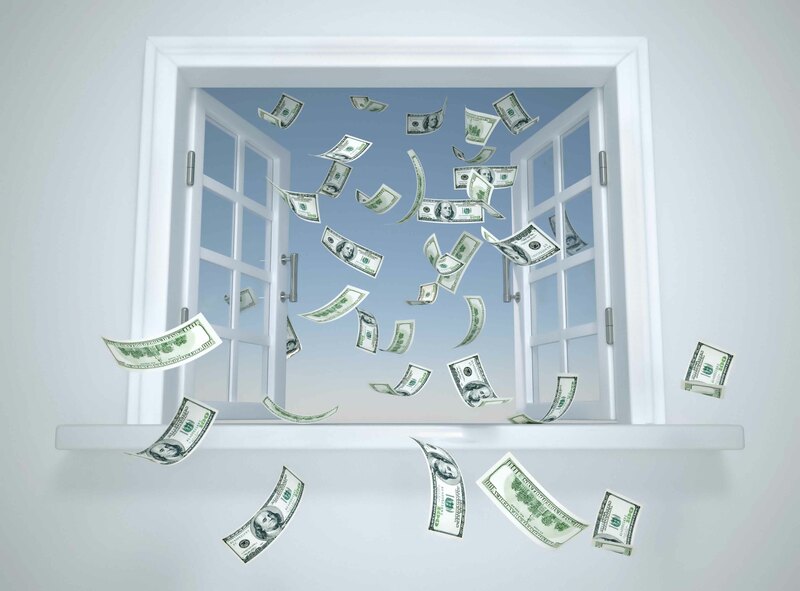 In addition to these incredibly high expectations, the standard industry practice for vendors is to provide CAMs with fragmented / disconnected Excel spreadsheets to manage and measure all aspects of their partner’s business. 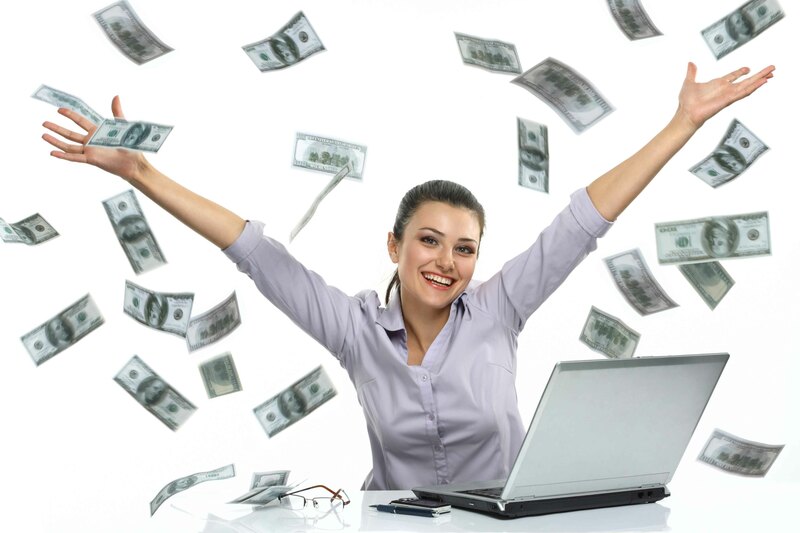 You don’t have to be a genius to realize that there is a high turnover rate in this role, and only the exceptional CAM is performing at a high level and generating rapid revenue growth with the partners that they manage. Currently there is no undergraduate degree in professional Channel Account Management. CAMs are expected to learn how to be effective on the job and navigate partner relationship development the best they can with minimal support tools and resources. As a result, there are a lot of missed opportunities with this “hit-or-miss” approach to partner business management. Only Super-CAMs can successfully complete all best practice tasks across the 10 to 40 partners they are typically assigned. 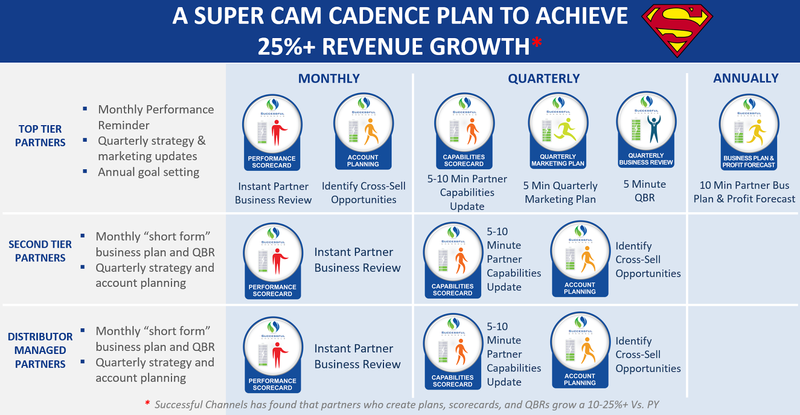 This diagram below details the professional steps that top performing CAMs complete monthly or quarterly to build high growth, committed, and capable partners. 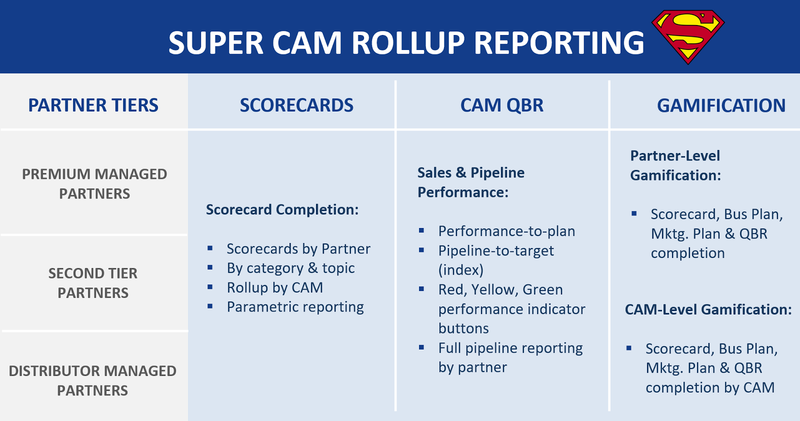 Unfortunately, because CAMs usually have inefficient Excel spreadsheets to manage these tasks, only a fraction of their assigned partners develop business plans, scorecards, and QBRs. But there is now a set of tools to help CAMs manage these tasks in minutes. No longer do CAMs have to choose which sub-set of partners they can deliver professional development support to. These 5-minute partner management tools put all the data, processes and reports at a CAM’s fingertips to allow them to eliminate most administrative work and focus most of their time on partner development consulting. CAMs have so many things to do to manage, motivate, and measure their partners, so they need a way to do all of them more effectively and in a fraction of the time. Each of the business processes supported by these tools are completed either instantly or within 5-10 minutes with their partners. This allows CAMs to provide professional support for not just their top two to four partners but all the partners they are assigned to. On the surface this looks like a lot of extra work for CAMs that are already very busy managing other tasks. With these tools, channel executives can architect an end-to-end professional CAM and partner management process to systematically motivate their entire channel. 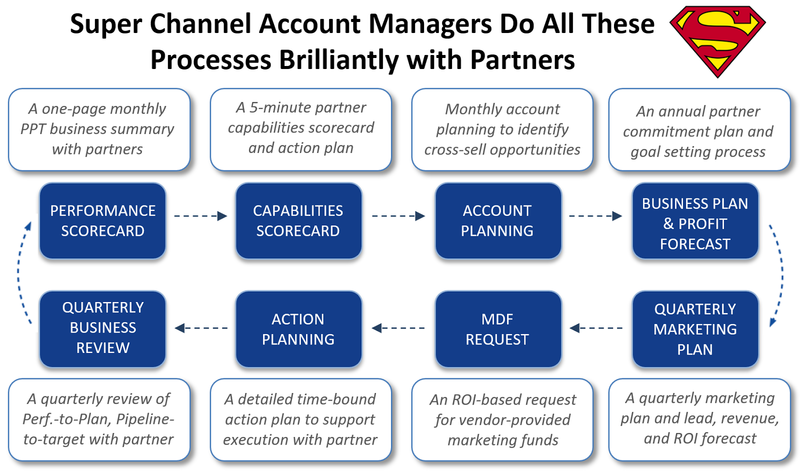 CAMs that use this approach can deliver more partner-led revenue at all tiers of a channel ecosystem. CAMs using these technology-enabled workflow tools can also access instant rollup reporting which will dramatically reduce administrative time. Not only will your CAMs be highly effective, but they’ll also love their jobs. These tools allow them to get rid of the annoying administrative work and focus on the growth and enablement consulting that is the most fun and satisfying part of their jobs. And your partners will also prefer your brand because your CAMs will be able to help build capabilities, profitability, and performance plans that are customized to their individual partner needs. The time is now to get rid of your spreadsheets and manage all key CAM-led processes with these technology-enabled tools for dramatic improvements in efficiency and effectiveness. So when a raincoat is designed, it is done by people who have never been in the rain.